LSH Spaces House Warming Invitation- This is an invitation to the soft opening of LSH Spaces. A rehearsal and production rooms venue in London. I incorporated photo imagery, various textures and shading techniques to achieve a realistic looking setting. LSH Spaces offer rehearsal rooms and pre-production facilities in London and Cardiff. You can visit their website (HERE). 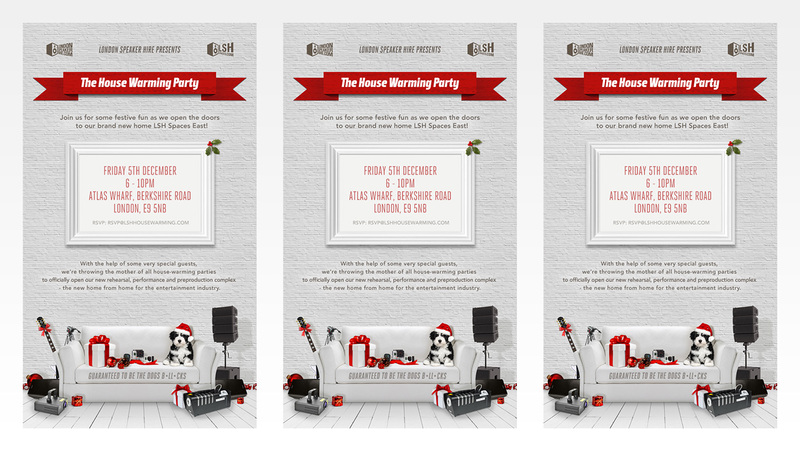 Get Involved and Share the LSH Spaces House Warming Invitation!